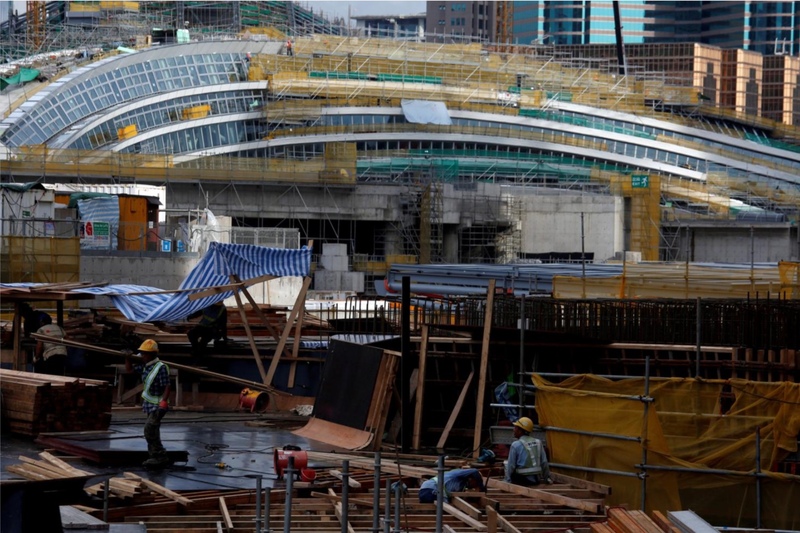 BEIJING/HONG KONG (Reuters) – China’s parliament on Wednesday said part of a high-speed railway station being built in Hong Kong would be regarded as mainland territory governed by mainland laws, an unprecedented move that critics say further erodes the city’s autonomy. Hong Kong reverted from British to Chinese rule in 1997, when it was granted a high degree of autonomy under a “one country, two systems” arrangement, giving it a separate police force, immigration controls, an independent judiciary and freedoms not enjoyed in mainland China. Critics say the “co-location” arrangement, also known as “one land, two checks” in Chinese, sets a dangerous precedent as it violates the city’s mini-constitution, the Basic Law, in which article 18 explicitly states national laws, with a few exceptions, do not apply in Hong Kong. But the document passed by parliament says since mainland officials’ operations will be strictly confined to specific areas in the station, it is “different” from the article which governs the whole of Hong Kong. “Setting up a Mainland Port Area inside the West Kowloon station does not change the administrative area of the Hong Kong Special Administrative Region, does not affect the HKSAR’s right to a high degree of autonomy accorded by the law, does not reduce or harm (Hong Kong) residents’ rights and freedoms accorded by the law,” the document added. Li Fei, deputy secretary-general of parliament’s standing committee, told reporters the decision would not take away Hong Kong people’s freedoms. “If Hong Kongers don’t feel comfortable, they can use another entry port and not take the high-speed train,” Li said. It is expected to be operational in the autumn on 2018. The Hong Kong government said it would seek to put draft laws to its legislature by early February to implement the plan, but the bill is expected to be voted through without strong resistance after a series of controversial court cases stripped the opposition pro-democracy camp of its veto power. The prospect of Beijing tightening its grip on the financial hub has already stoked social tensions and protests including the 2014 “Occupy” street demonstrations that demanded, in vain, full democracy for the city of 7.3 million. The abductions of a Hong Kong-based bookseller in 2015 who later showed up across the border in Chinese custody also touched a raw nerve. The former head of Hong Kong’s legislature and pro-establishment heavyweight, Jasper Tsang, wrote in a column last week that the government should “admit frankly” the arrangement does not comply with the Basic Law. Opposition lawmaker and barrister Tanya Chan, who leads a group against the arrangement, said the issue represents the “most serious violation of the Basic Law” since the 1997 handover. Constitutional law professor Albert Chen said he believed the arrangement was based on “reasonable arguments” and did not violate the Basic Law. But it remained “a grey area” whether Hong Kong courts could handle judicial reviews that directly challenge Beijing’s decision, he said. 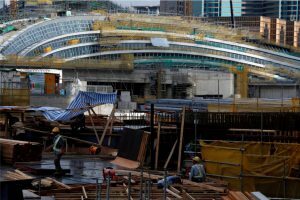 Hong Kong leader Carrie Lam welcomed the decision, but conceded that there had been “complex issues of applicability of mainland and Hong Kong laws” for the project as it had been first conceived around a decade ago. She added that these complexities could not have been foreseen back then. Posted in Architecture/urban planning, Hong Kong, Politics	Bookmark the permalink.